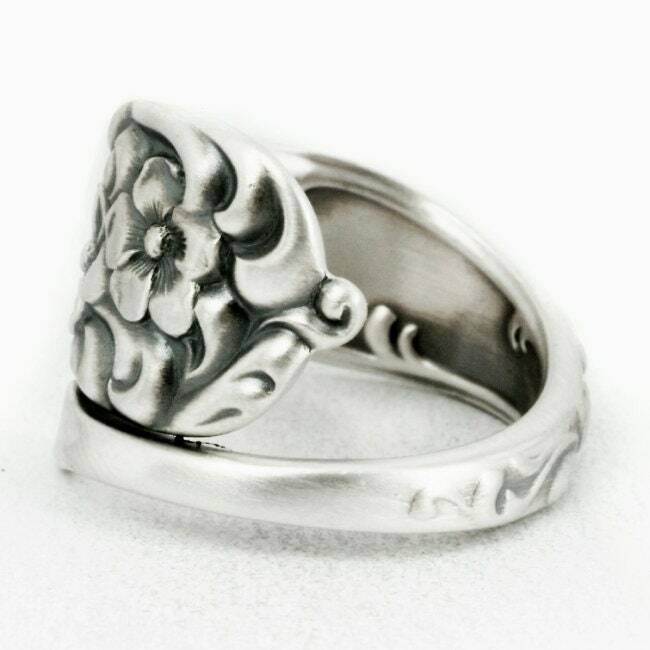 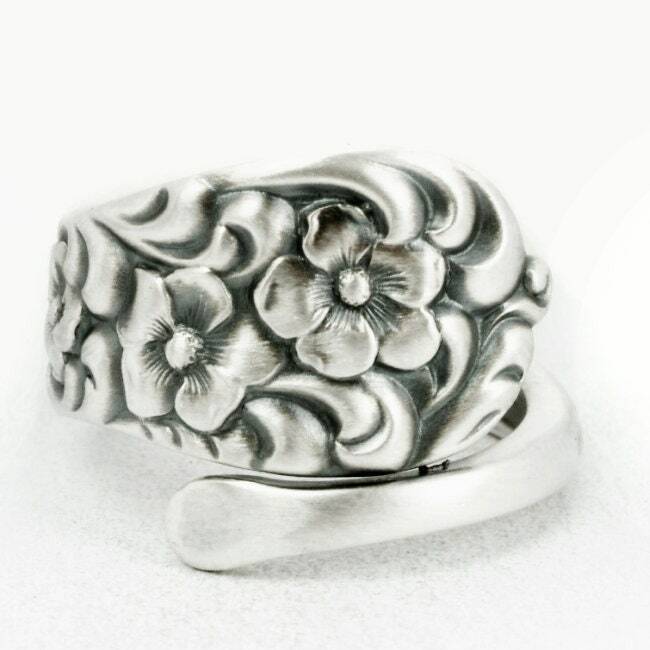 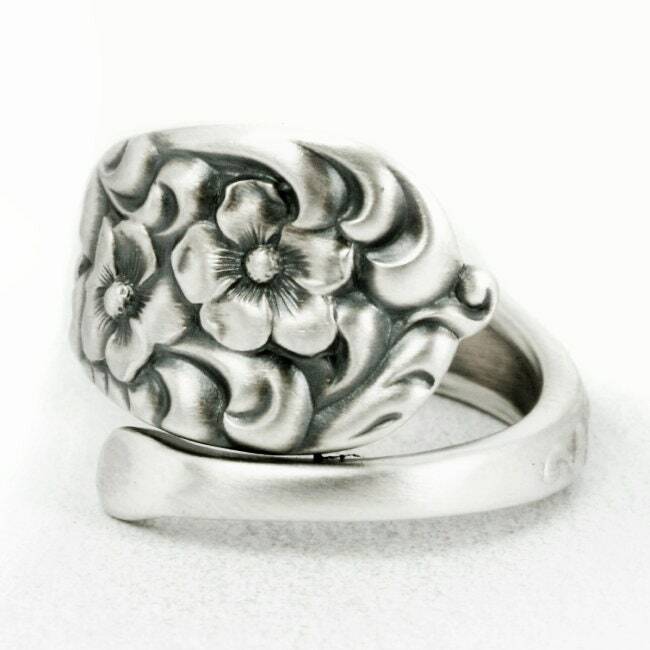 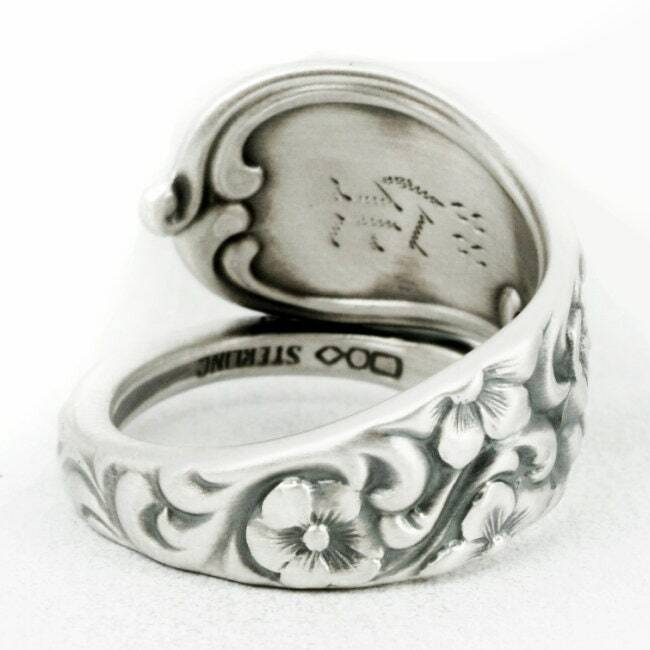 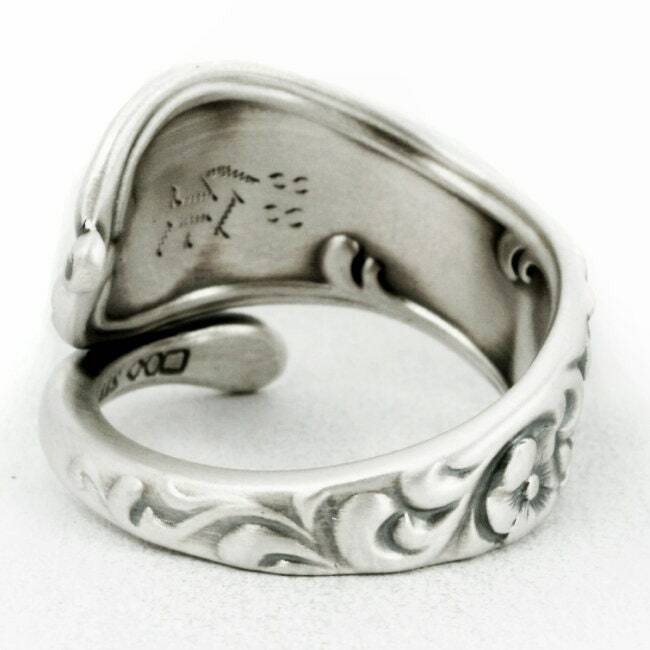 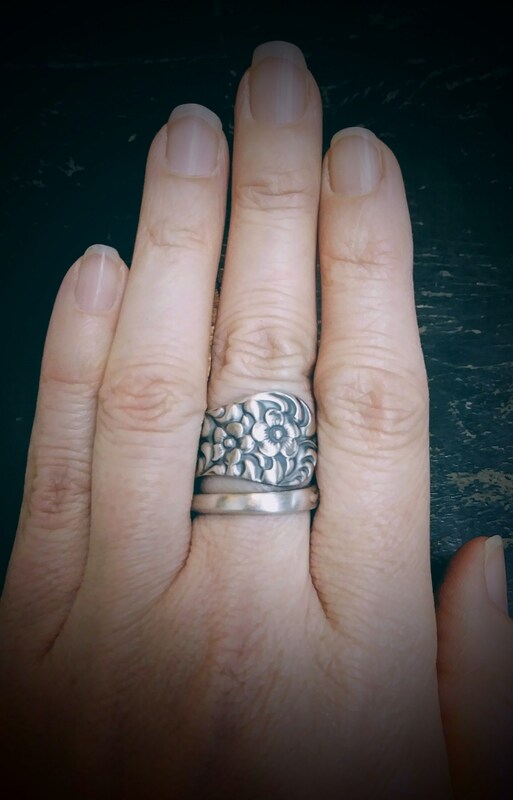 Vintage floral pattern sterling silver spoon ring, handmade to your size! 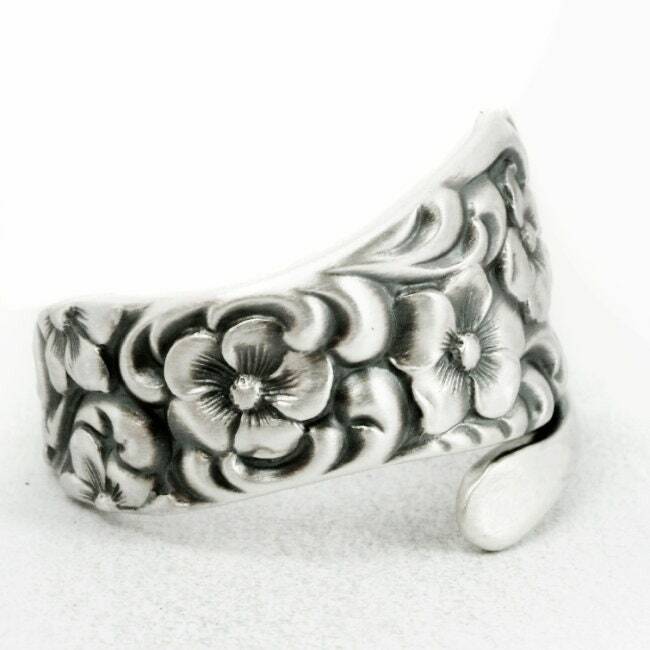 This spoon design has beautiful stylized Forget Me Not Flowers adorned with lovely rococo swirls. 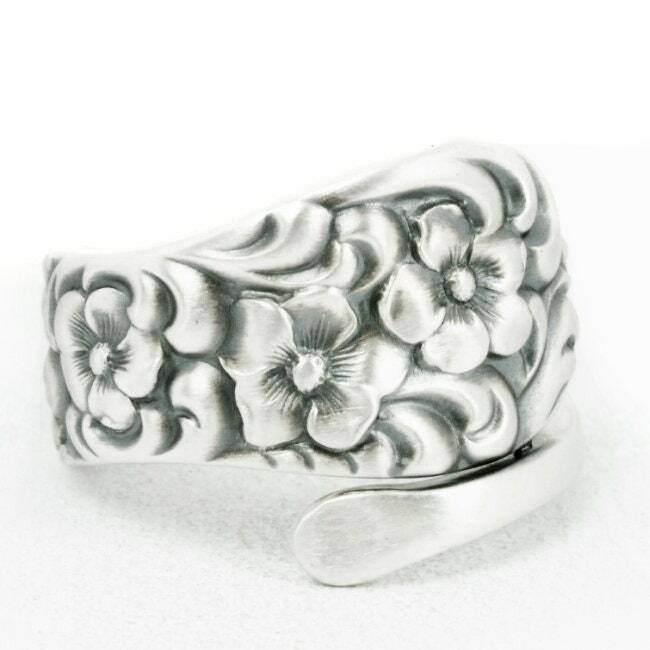 This sterling spoon was originally made by Dominick & Haff in 1888 called "Rococo". 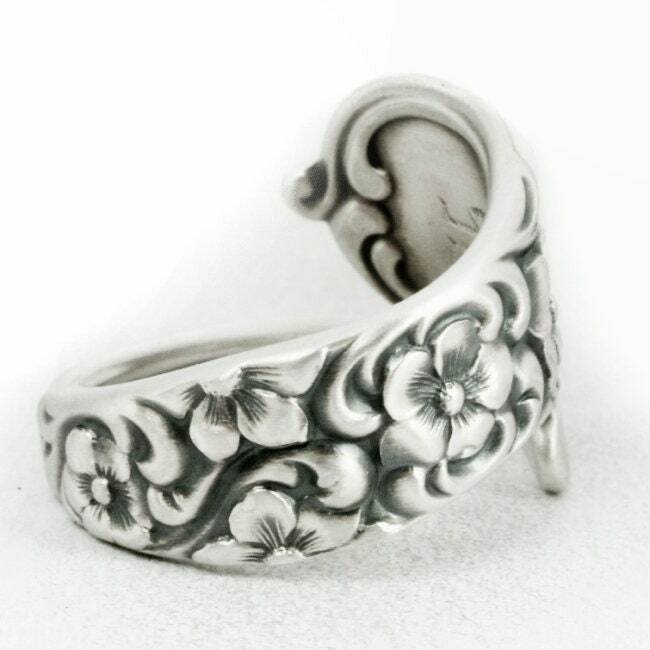 Wonderful Art Nouveau feel to this design, made evident by graceful flowing curves and in pretty amazing condition for being 125 years old!!! 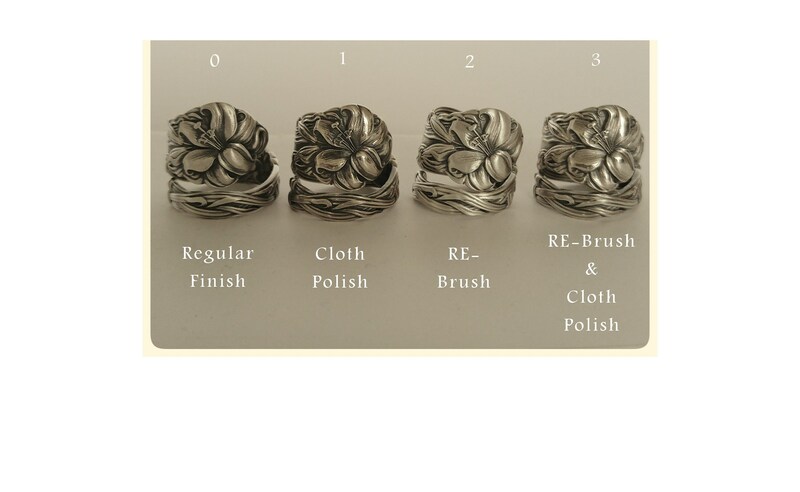 Dimensions: 13mm at widest point, tapers down to 3mm.